Once again, Ajax are competing fiercely in the biggest European football competition, the UEFA Champions League, after going anonymous for some seasons. They recently defeated the defending champions, Real Madrid, with an aggregate score of 5-3 to seal their passage into the semifinals of the tournament and ending Los Blancos' hopes of winning the trophy for a fourth consecutive season. Though their toughest competition, all eyes will be on some of their youngsters who have been performing at a decent level since they broke into the first team. Having attracted the interest of elite outfits with their impressive efforts, these players will carry massive attention with them as they continue to impress in the tournament. Frenkie De Jong is one of these stars and at 21, he has proven consistently to be a midfield force for the next decade. Expectedly, the prodigious talent signed for La Liga giants, FC Barcelona, following the path of his Dutch icons such as Johan Cruyff, Patrick Kluivert and Ronald Koeman, and further strengthening the bond between the two clubs. Ajax play either in 4-3-2-1 or 4-3-3 formations and were consistent with the 4-3-2-1 last season which worked for them because of De Jong's ability to play as an aggressive ball-playing central defender. Though this is not his natural position on the field, he performed admirably. However, with the return of Daley Blind from Manchester United last summer, Ajax switched to 4-3-3, allowing him to move to his natural defensive midfield position where he has implemented and expressed himself, dictating the tempo of the game for the Dutch outfit. 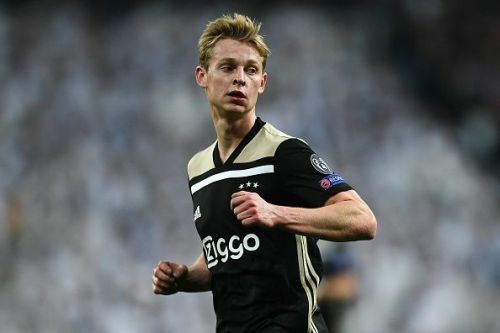 This season, in the 4-3-3 system, De Jong has been able to utilize his dribbling skills, attracting opposition players in order to create attacking space for the team and orchestrating play with his incisive passing. He also delivers the killer pass and he possesses the natural tendency to scan his area to determine a threat when in possession of the ball. Last term, the midfielder completed a whopping 93% of his dribbling and more than 90% of his passes and through balls, making him a perfect fit for Barcelona's possession-based and intelligent style of play. 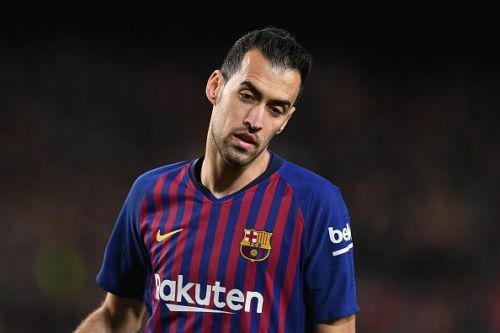 At Camp Nou, considering that he plays as a centre back or defensive midfielder for Ajax, he is likely going to replace one of the best and most intelligent defensive midfielders of all time in Sergio Busquets. Everyone knows that it is vital for a defensive midfielder at Barcelona to be able to fill in at the back, something De Jong does with aplomb. As expected at the Catalan capital, every defensive midfielder in the mould of Sergio Busquets must possess the impeccable passing ability, dribbling in dangerous areas, breaking up opponents moves and turning it almost immediately into an attack. With all these in his armoury, Sergio Busquets is regarded as the pivot in the team. Considering that Frenkie De Jong possesses all these abilities, one will understand why Barcelona paid €75million for him. The midfielder has proved his incredible talent and unbelievable maturity innumerable times and he is surely one to watch for the future. In De Jong, Barcelona have just secured a Sergio Busquets reincarnate and their midfield boss for the next decade. His performances initially may dip because of the pressure of having to justify the price tag and the master he is coming to replace, but with time, he will eventually fulfill his full potential at the club.